The two leading ladies of Francine and Berke were able to withstand the demanding 2017 season with ease. If anything, it seems their strength and stamina have increased in the off season. Mon Amie excelled with a 1st of 496 p. Soissons (as second nominated but with the same speed per minute as Izaura, the eventual winner), and a 1st of 867 p. Chevrainvilliers. She also claimed a 120th/2,650 p. from Melun and a 118th/1,666 p. from Chevrain. Zorina is a granddaughter of De Zoon (030/10) paired to his own dam Paulien (139-06), which means she is heavily inbred to this super class hen. 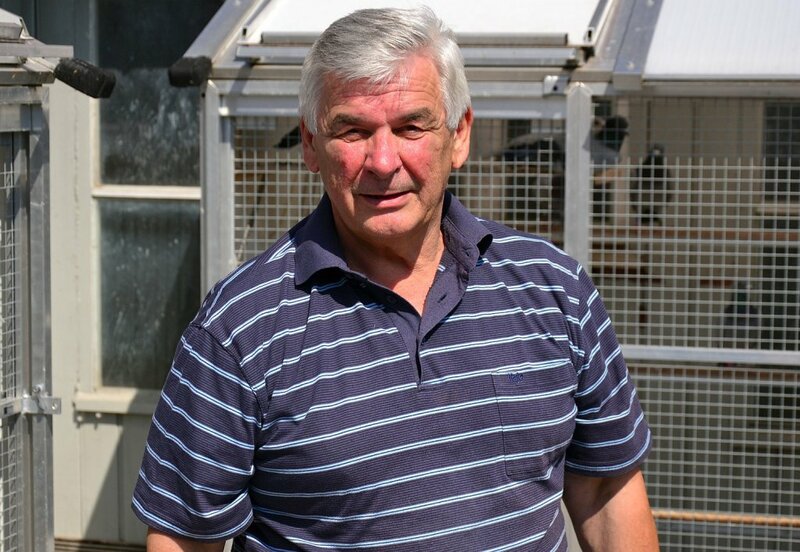 The dam of Zorina is a granddaughter of another outstanding pigeon: Harry of Jan Hooymans. We extensively discussed this joint breeding, and the story behind Mon Amie and Isaura in a previous article. 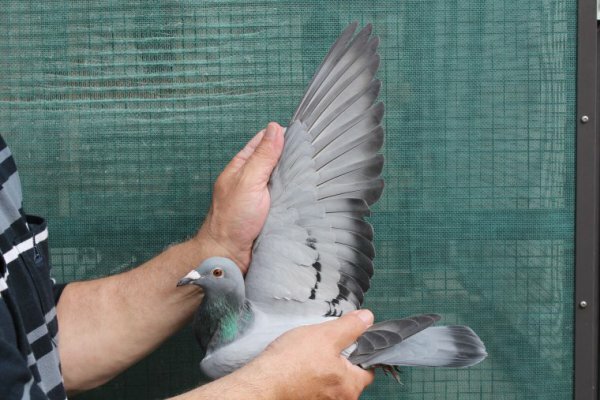 The dam of Zorina is BE14-2308091, winner of a 1st Argenton of 218 pigeons. Albert forgot to include her parents in her pedigree, which means we have no further details about her origins. All we can say is that Albert bred Zorina in his own breeding loft. Click here for Zorina's incomplete pedigree. Zorina: 1st Soissons 1,065 p., 1st Chevrainvilliers 642 p.
Verona is the runner-up in Albert's racing team. She wins a 2nd Chevrain of 460 p. and a 21st Soissons of 496 p. in 2018. Her sire Verona is a son of Paulette (133/07), a full sister of Paulien. The 131/17 made her first steps towards a career like that of her illustrious grandfather Primo (from her mother's side), winning a first prize from Chevrainvilliers of 945 yearlings. As you can tell, the 131/17 is closely related to Paulien as well. 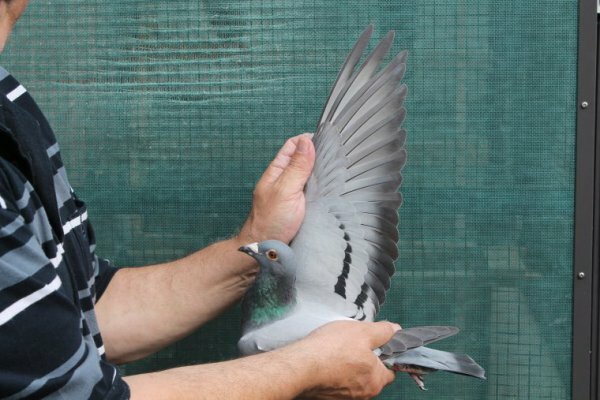 Verona: 2nd Chevrainvilliers 460 p.
As you can see, Albert has already won 19 first prizes this season (including doubles), with a racing team of no more than 9 old birds and 9 yearlings (he started the season with 11). Click here for the team's palmares of 2018 so far. Verona was the first to arrive home in the old birds' race, followed closely by Mon Amie. The big star in Blois was racing hen BE17-2090111, which is also related to Paulien, from her father's side. The sire is Invictus (BE13-2110100), winner of a 1st National Issoudun 16,587 pigeons. Invictus is a grandson of Paulien from his father's side, and a great-grandson of De Zoon from his mother's side, arguably one of the most renowned descendants of Paulien. The dam of the 111/17 is BE11-2070106, a 100% Gaby Vandenabeele and a granddaughter of his Bliksem, winner of a 1st prize from Poitiers of 1,448 p. Click here for the full pedigree of the 111/17. The many top results and championship titles that Albert and Francine claim every season illustrates how skilled they are. 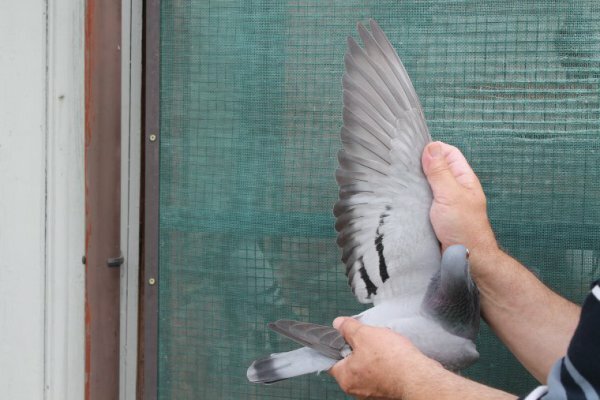 On top of that, they rely on a group of high quality pigeons that enables team Derwa-Luxem to achieve fantastic results. The late Eric Wauters put it this way: a rider is only as good as its horse.